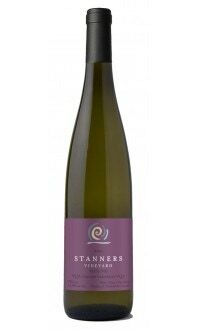 Sorry, Stanners Vineyard does not ship wine to United States. The grapes for this wine are from our estate vineyard and one other vineyard in Prince Edward County. The year started out very cold and wet, but turned hot and dry in September and October, allowing the grapes to ripen nicely while maintaining their acidity. The wine has a beautiful copper colour which comes from leaving the skins in contact with the juice for 72 hours prior to pressing and starting fermentation. This technique has resulted in a wine with more complex fruit flavours and a touch of tannins. It’s a wine style that dates back hundreds of years but is now not very common. This is nonetheless our favourite way of making Pinot Gris! 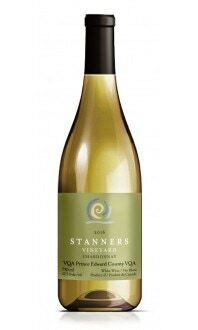 The 2017 version features enticing aromas and flavours of apricot and citrus, with appealing zest due to balanced acidity. It can markedly enhance dishes served with sweeter sauces or can be drunk on its own.